Yesterday, at the President's Special Section of the American Nuclear Society Meeting in Chicago, Howard Shaffer and I received awards for our work in advocating nuclear power and Vermont Yankee in Vermont. We received the President's Citation Award. The American Nuclear Society Nuclear Cafe blog post today is about our awards. Meredith Angwin and Howard Shaffer Receive President's Citation Awards. The Vermont Department of Public Service sued the NRC, claiming that the NRC should not have issued a license extension to Vermont Yankee because the plant's water quality permits were not in order. Today, a federal court in Washington ruled for the NRC and for Vermont Yankee...the license extension was upheld. I am still at the ANS convention in Chicago, and it's hard to blog for various reasons...like..not enough hours in the day. However, this short article from Power Engineering contains a link to the ruling, so it is a good place to start reading about Vermont Yankee's victory. Right now, I am at the American Nuclear Society convention in Chicago. It feels so good to be here. I am currently just doing a bit of coffee-drinking and email-catching-up, but I met up with Margaret Harding and Gail Marcus and Howard Shaffer and...well, LOTS of other people last night! 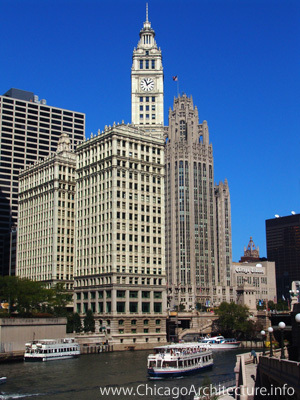 It's great to be here, and it's great to be in Chicago, the town where I grew up. Will Davis on the first few house in in Chicago for the meeting, at Atomic Power Review. Short Video of the American Nuclear Society president Eric Loewen welcoming people to the meeting, at American Nuclear Society Nuclear Cafe. At idaho Samizdat, Dan Yurman tells how to follow the conference on twitter and Facebook. 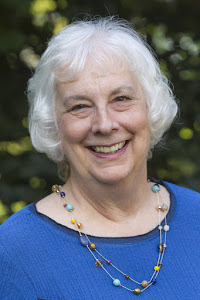 At this conference, Margaret Harding will receive a major and well-deserved award. She was a voice of clarity for many during the Fukushima crisis: not pulling her punches about what was happening OR what was being exaggerated. Read an interview with Harding at American Nuclear Society Nuclear Cafe. Meanwhile, take advantage of his hard work by visiting the 110th Carnival of Nuclear Energy at Atomic Power Review. Topics include new builds, Yucca Mountain, India, the new Commissioner. A huge and important Carnival! Comments on my Superfuel book review post have been coming thick and fast. Some comments are about the kind of people who support thorium ("thorium heads") and those who support light water reactors ("nuclearati"). Insults on both sides. Cavan Stone put the matter best in his comment. No question, given everything we have available today, LWRs should be every utility's top choice for their base load power, until we develop and commercialize something EVEN BETTER. Yet I should note, nobody in the main body of the LFTR community is talking at all about shutting down LWRs. Rather everyone is talking about opening up new markets that the LWRs have not even touched. Yet, there are members of the established nuclear community trashing LFTR without scientific justification. Meanwhile, Rod Adams is doing a series of posts based on the book: There are three suprefuels: uranium, plutonium and thorium. Adams attempted commercialize a new type of reactor, the Adams Atomic Engine. He holds patents on that concept. His opinions of new reactors are well worth reading. As usual, he gets terrific comments on his posts. Comments include the fact that if a LFTR is built, the same anti-nuclear people will fight it. Also, the LFTR might be a way to begin learning about nuclear by people who are currently anti-nuclear. 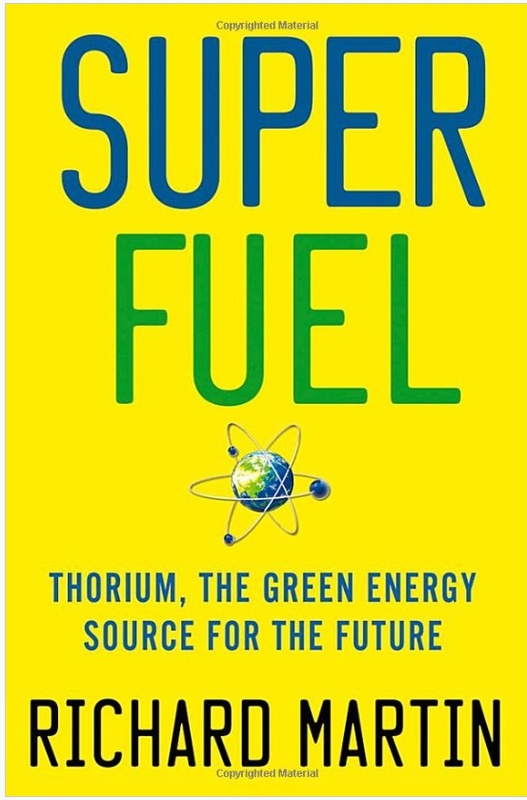 As you can tell from the title of this blog post, I didn't love the book Superfuel, Thorium, the Green Energy Source for the Future, by Richard Martin. I didn't even like it. I expected to like the book. I like both the subject and the author. I recognize that I am not the target audience for this book, and I tried to take that into account in my review. I still found the book disappointing. 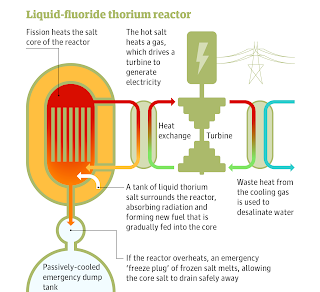 Superfuel is about the Liquid Fluoride Thorium Reactors (LFTR) an advanced reactor technology that uses thorium fuel in circulating molten salts. I think LFTR technology has great promise for the future. The author, Richard Martin, is a technology journalist and contributing editor for Wired Magazine. I admired his January 2009 article "Uranium Is So Last Century--Enter Thorium, the New Green Nuke." I thought the article was an important step in winning mainstream acceptance for new types of reactors. Superfuel begins well. The book starts with an effective story about how Kirk Sorenson learned about LFTRs and how they could be deployed. It describes Robert Hargraves and his Aim High work, and Charles Barton's important blog Nuclear Green. I know and admire both Hargraves and Barton, and I admire Sorenson, though I don't know him. However, I soon noticed that the tone of the book was taking direct aim at the present nuclear industry. 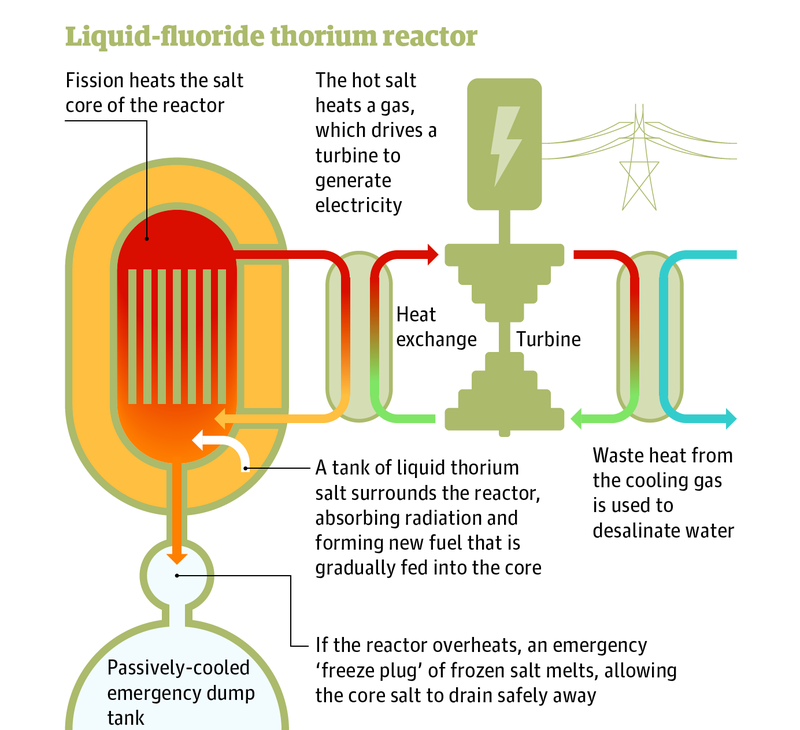 There was a little too much differentiation between the brave pro-thorium engineers and the "hide-bound and risk-averse nuclear power industry." Superfuel refers to the people in today's nuclear power industry as the "nuclearati." Apparently, we are the ones impeding the development of LFTRS. Well, it shows that I am not the book's target audience. I began to feel very distant from the thesis of his book, despite the fact that I support the development of LFTRs. I even made a poster presentation ("poster session") about LFTRs at a scientific research conference in 2010. From the book's point of view, I am just one of the "nuclearati." The good. Martin is at his best in describing the history of the nuclear industry. Superfuel contains an excellent and understandable section on the various failed reactor concepts in the U. S. It describes the contributions of Alvin Weinburg, a pioneer of the light water reactor and the molten salt reactor. The chapter on the Asian nuclear race was top-notch, including a clear description of the impractical "three-stage program" in India. The bad. The book makes huge factual errors. When I notice so many mistakes in areas with which I am familiar, then I can't trust the book on areas on which I am unfamiliar. That destroys the book for me. 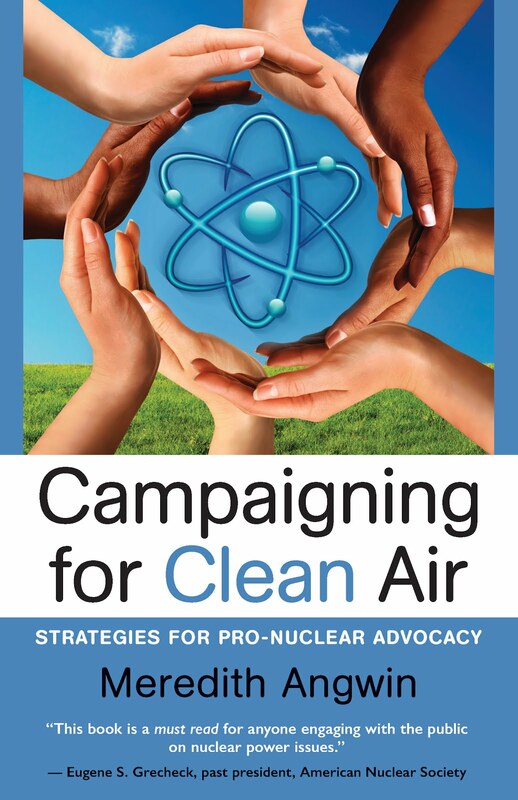 A secondary issue is that the book raises straw men and uses inflammatory rhetoric about the present nuclear industry in ways that I can't accept. Yes, I realize that the point of the book is to show how LFTRs are superior to the current fleet. Even considering "the superiority of LFTRS" as a legitimate purpose of the book, I think it goes over the top in its rhetoric and loses credibility. Superfuel contains a major (incorrect) thesis about fuel rod aging as a weak point for today's reactors. This idea is mentioned throughout the book, but the most succinct statement is on page 74. where the book claims that "fuel rods age quickly" due to the buildup of fission products. ..."they have to be replaced every few years, even though only three to five percent of their energy has been consumed." There are two major problems with this statement. 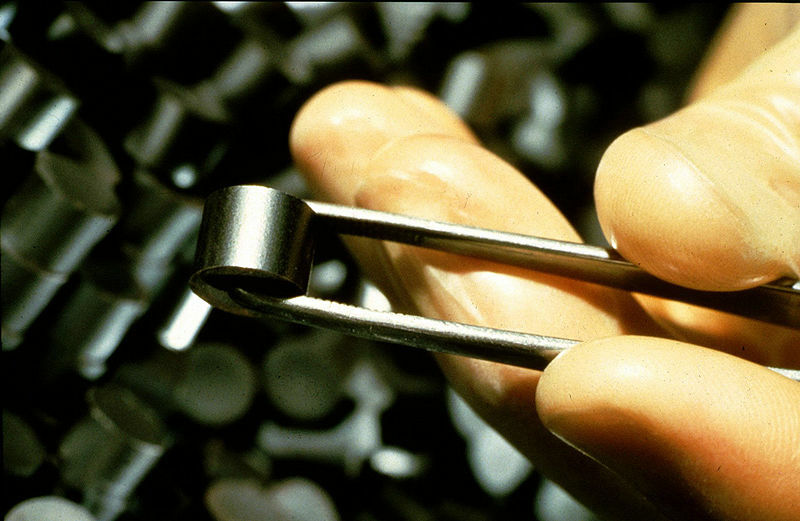 LWR fuel rods use fissionable material efficiently. 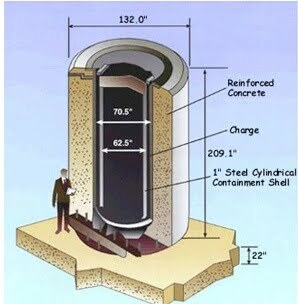 In a LWR, fuel rods are replaced when they have consumed over 80% of the energy source (U-235) that they CAN consume. They also burn up some plutonium that they have created. It would take a different type of reactor to consume the U-238 (95%) of the fuel effectively. LWR Fuel rods are not life-limited by radiation damage. Martin writes about damage to the fuel as a problem the molten salt reactor solves, but such damage is not the life-limiting step for light water reactor fuel. 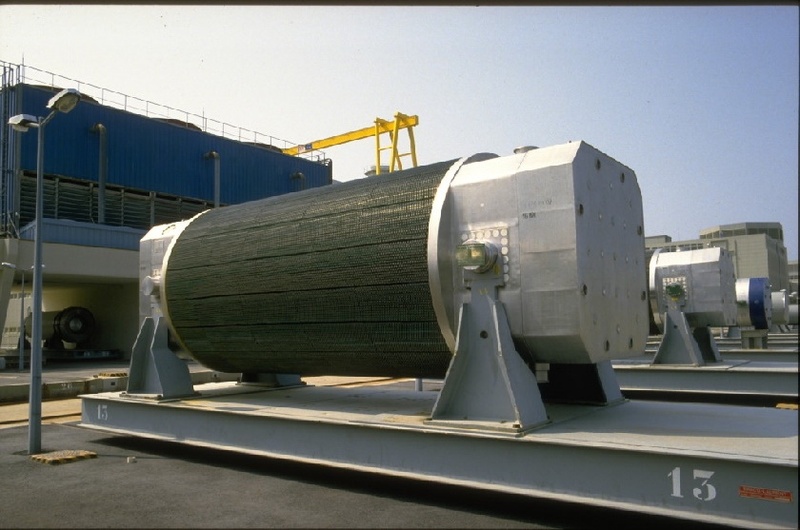 Highly enriched uranium fuel runs Naval reactors for many years, without fuel rod replacement. Navy fuel is a different type of uranium fuel, but it is a uranium-based solid fuel. For the nuclear power industry, LWR reactor fuel is available at various degrees of enrichment, depending on the design of the plant and how long the plant chooses to run between maintenance outages. Reactor fuel enrichment decisions are engineering decisions. Fuel damage is only one consideration in fuel design, and is not life-limiting for LWR reactor fuel. The book contains many errors. I chose two. You might say these are trivial problems. However, if you are comparing two technologies (LWR and LFTR) it is important to get the facts right. Positive and negative. On page 44, Martin says that 19th century scientists "knew that the positively charged protons (red) would necessarily repel the negatively charged electrons (black)." Actually, opposite charges attract. Actinides and fission products. On page 186, "the buildup of actinides (including xenon, cesium, technetium and so on) eventually ruins conventional solid uranium fuel rods." The author means "fission products," not "actinides." Superfuel sees uranium as dangerous. For example, the third chapter starts a description of a ship carrying yellowcake. The ship encounters heavy weather, and two of the yellowcake casks were smashed open. In my opinion, this is a non-incident. Martin writes that "the Altona averted disaster" by cleaning up the ship and not releasing any yellowcake into environment. What disaster would this have been? Until it is enriched, yellowcake isn't very radioactive. 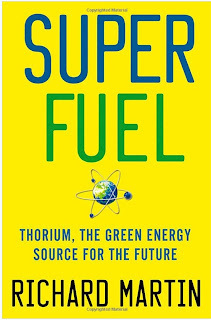 Superfuel describes uranium as follows: "Uranium is like a finicky child at a buffet: only the right combination of moderator, fuel, core design and materials will produce a sustained fission reaction." (page 65) This is a problem? I thought it was engineering! However, in the book, this statement is a mark against uranium. The book also attacks the people involved in this generation of nuclear power plants. On page 65: "By the limited standards of the nuclearati, nuclear power is a success." Well, yes. As a proud "nucearati." I do think nuclear power has been a success. That doesn't mean we can't build better reactors in the future. When he describes the nuclear founders, Martin can be especially vitriolic. For example, he blames Milton Shaw for the end of the Molten Salt Reactor program at Oak Ridge. Shaw may well have been responsible for the end of that program. Shaw was also the project leader for the first nuclear submarine, the Nautilus. I don't know much about Shaw except that he was a project leader in the early days. How does Martin describe Shaw? Shaw was "known as the admiral's chief henchman, Beria to Rickover's Stalin." 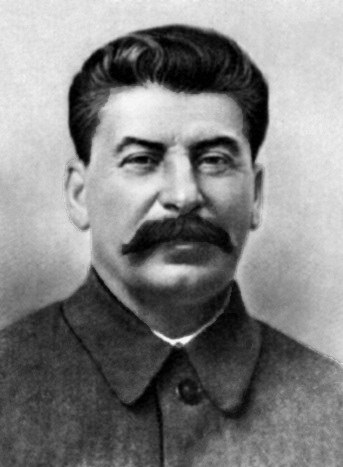 Stalin? Beria? With opinions like that, it's hard to take the book's comparisons between LFTRs and LWRs completely seriously. Superfuel often doesn't get the facts right. Demonizing the current industry and its founders is also unnecessary. One can admire Weinberg without simultaneously comparing Rickover to Stalin. If you want to learn more about the promise of the LFTR I recommend Dr. Robert Hargraves short book Aim High! Hargraves is a physicist and he gets his facts right. Aim High! is a small self-published book, and Superfuel comes from a major publisher, but Hargraves doesn't make so many mistakes. There are good parts of Superfuel, as mentioned above. If you want a general history of nuclear power, Superfuel is one of many books you can read with interest. I appreciate that a major author and a major publisher have released a book on the LFTR. I wish they had spared some of the "nuclearati-Stalin" type rhetoric, and done more fact-checking. It could have been a book I loved. Will Davis at Atomic Power Review has a more positive review of this book, Another positive review at the blog ThoriumMSR, by Rick Maltese. Update: Rod Adams wrote a related post this morning: There are three Superfuels--uranium, thorium and plutonium. Fascinating post and good comments! The 109th Carnival of Nuclear Energy Bloggers is up at ANS Nuclear Cafe. Dan Yurman has put together a fine carnival. Even the blog titles are great. Here;s a post bout the incoming NRC chair: "Questions left on the hearing room floor"? That's Margaret Harding's blog entry. Steve Skutnik of Neutron Economy also has some questions for incoming NRC Chairman McFarlane. I review the recent spent-fuel storage issues, and Dan Yurman of Idaho Samizdat reviews progress (or the lack thereof) at the Vogtle build. ANS Nuclear Cafe submits a great post by Suzanne Hobbs Baker: Sowing the Seeds of Curiosity. 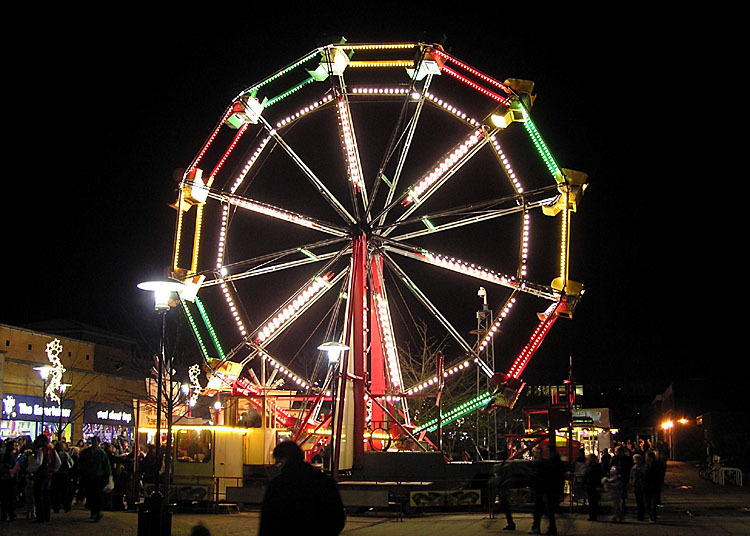 This is a new look at how we talk about nuclear energy"
Come to the Carnival. New voices, new thoughts, and questions left on the hearing room floor! Gaz Metro merger goes forward. Ratepayers stiffed. Gaz Metro has everything it wanted. The Green Mountain Power/Central Vermont Public Service merger was approved by the Public Service Board today. The merged companies don't have to give $21 million back to the ratepayers, as they had promised, and as AARP hoped would happen. The state legislature wanted to intervene in favor of the ratepayers, but they didn't. 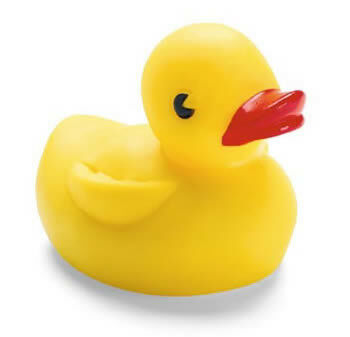 Governor Shumlin got his ducks in order and the legislators reversed their stands on the issue. They didn't "quibble" (the Governor's words) about the $21 million. I blogged about the Governor's persuasive powers in Money Settles in Gaz Metro Pockets, Dust Settles Under the Dome. Yes, the Public Service Board (PSB) ruled to give Gaz Metro pretty much everything it wanted. You can read the ruling itself here, and a short Alan Panebaker article in Vermont Digger here. This is the same PSB that allowed another Gaz Metro company to charge Vermont rate-payers for building a gas pipeline, instead of funding the pipeline with Gaz Metro money. However, when it comes right down to it, I don't blame the PSB. The Vermont Department of Public Service (DPS) is supposed to be the ratepayers advocate in proceedings before the PSB. DPS is supposed to protect the ratepayer and it does not protect them. Seems to me that DPS doesn't defend the ratepayers in issues about money--especially money for a Gaz Metro company. Since nobody is on the ratepayers' side, everything is coming up roses for Gaz Metro. According to USA Today, Japan will almost certainly start two reactors this weekend. The mayor of the local town signed off on the plan. Read about the restart of the two Ohi reactors here. This is a terrific article. It's much more complete than my recent blog post about Larry named as Man of the Year by the Brattleboro Chamber of Commerce. From this article, it is clear why Governor Shumlin said that Larry Smith has done more for those in need than anyone in this state. Areva is building four EPRs around the world, in Finland, France and China. I'm not glossing over the fact that the European builds are behind on budget and schedule. Still, these are the first Gen III's to be built. Reactors with these types of safety feature will be part of the future of nuclear energy. Areva just prepared a video about EPR safety features. I think it is worth watching. In March of this year, Vermont and other petitioners brought suit against the Nuclear Regulatory Commission (NRC). Their suit claimed that NRC rulemaking on spent fuel storage was insufficient. On Friday, June 8 the Federal Court of Appeals in the District of Columbia ruled in favor of the petitioners. According to the court, the NRC rules on spent fuel storage will have to be revised. You can read the court's decision here. "Here you've got under what was the NRC decision, 20 years of relicensing, and then the ability to store spent fuels on the Vermont Yankee site for another 60 years," he said. "So 80 years out of spent nuclear fuels being stored there, 60 of those supposedly after Vermont Yankee is no longer operating. And is that good for the state economy?" The Vermont Yankee opponents are wrong about the consequences of this decision. They are loud (as usual) but they are wrong. In my view, there are three facets to the court decision, none of which have any immediate consequences to any operating power plant. They may have economic consequences in the future, but these consequences are unpredictable. The rule-making for fuel storage on site is a major federal action, and therefore must have either an environmental impact statement or an official finding of "no environmental impact." In 2010, NRC extended of spent fuel storage on-site from thirty to sixty years after a plant has closed. The court ruled that this NRC time extension was not justified nor sufficient. The NRC must address the possibility that no permanent repository will ever be available, and do an environmental impact assessment of that possibility. The NRC can do the type of rule-making it usually does for general issues, and does not have to address the storage at each plant on a case-by-case basis. All these factors are as applicable for any other plant as they are for Vermont Yankee. None of them challenge the NRC's role in assessing radiological risk from nuclear plants. In other words, nothing in this ruling allows the state to take any kind of pre-emptive action about radiological safety. The NRC also has the right to appeal this decision to the Supreme Court. The NRC has work to do. No matter how many commentators say that the Vermont Public Service Board should be influenced by this decision, the decision is completely about NRC rule-making. It defers to the NRC for further rule-making. This decision does not give the state of Vermont any right to pre-empt federal regulation of radiological safety. It does not require that Vermont Yankee fuel storage be assessed as a separate case. This is another in the growing line of cases involving the federal government’s failure to establish a permanent repository for civilian nuclear waste. In other words, you can look at the ruling as a set-back for the NRC. Or you can look at the ruling as a boost, provided by the courts, for opening a spent-fuel repository. Two excellent articles on the subject are Federal Court Throws Cold Water on Nuclear Waste Ruling at EnergyBiz, and Court Forces a Rethinking of Nuclear Fuel Storage at the New York Times. My local paper, the Valley News, has a clearly-written op-ed with the history of the NRC's rulings on spent fuel storage: Confidence Game: Court Rightly Challenges the NRC. I use Blogger for this blog: it's a free service from Google. When I started my blog, I chose their simplest template, which had some touches of color but was mainly black and white. To my surprise, a few days ago, they changed all such blogs to a new template that was practically colorless. I didn't like it. I could have changed back to the older template perhaps, but their new templates have some useful features. So I chose one of the new templates. The orange one. Someday soon, I have to rethink all this. I need to get a banner, maybe have a different format. There's no question the layout of this blog could be improved. However, for right now, this is it. Update: No, it's not orange. I changed to orange, but I decided that all that orange was distracting. I'm trying this template, and I hope it will last for a while! I wish I were better about layout and color and so forth. Larry Smith, Vermont Yankee spokesman, is retiring in a few days. We will miss him! "[Larry Smith] also dedicated 45 years of his life to the people in this community who didn't have enough to eat or a place to sleep. He's done more for those in need than anyone in this state." These words were spoken by Governor Shumlin. However, a few days ago, Governor Shumlin DID acknowledge Larry Smith's contributions to the people of this state. So I am willing to let bygones be bygones about his past statements. Here's a link to a video: Larry talking about Vermont Yankee on a local TV station last summer. Larry is going to enjoy his retirement, but he will be missed around here! The 108th Carnival of Nuclear Energy is up at Next Big Future. It's a rich carnival, including blogs about the possible new NRC Commissioner, the possible issues with the soon-to-be-former NRC Commissioner, and what actually makes a good NRC Commissioner. Other blogs discuss the recent court ruling on nuclear waste. World-wide nuclear reports include South Africa, Jordan, and Turkey. These countries are building or restarting reactors. It's a great Carnival featuring quite a variety of voices! Come and enjoy it! I wrote this editorial last month for my local paper. I am happy to share an edited version on my blog. Just before adjourning, the Vermont Legislature passed a heavily-debated renewable portfolio standards bill. They passed it at the last minute, only after stripping out the renewable portfolio standards component. Is this good news or bad news? Should Vermont residents worry that the stripped bill implies bad things for the future of Vermont renewables? I don’t think it’s a cause for worry. Actually, I think the lawmakers have deftly crafted a bill that promotes green energy while simultaneously moderating the increased cost of purchasing renewable energy. 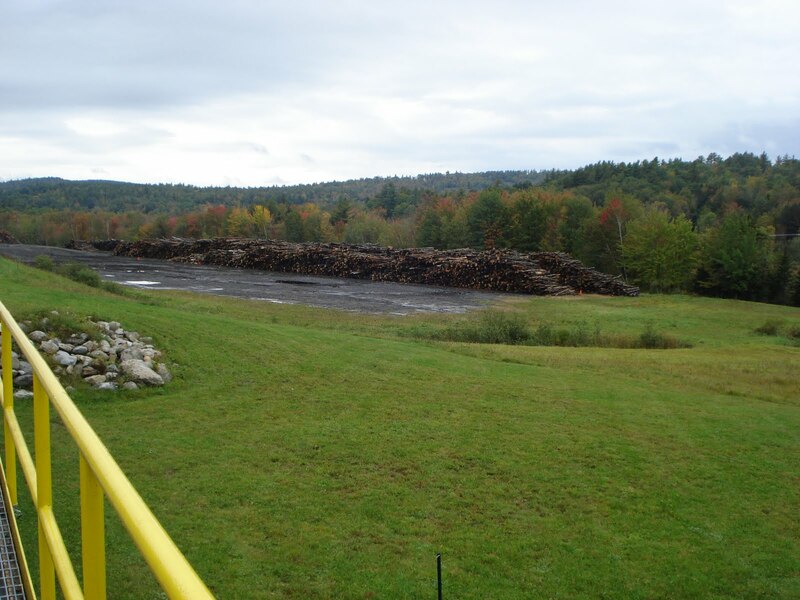 The concept of a “renewable portfolio” might best be illustrated by examining the finances of the biomass plant in Springfield, NH-- an operation familiar to many Upper Valley residents who see its tall stack from Interstate 89 in Georges Mills. The plant makes 19 megawatts of electricity by burning trees and wood chips. It has the latest pollution- control equipment, including electrostatic precipitators to catch the fly-ash and selective catalytic reduction to control nitrogen oxides. 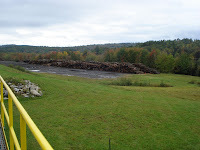 The plant sells fly-ash as a soil amendment and sells tree-bark to landscapers. It’s a good thing the Springfield plant sells all these byproducts, because it sells its electricity for about one cent per kilowatt-hour more than it pays for the wood fuel to produce it. That margin doesn’t sound like enough money to keep the plant staffed 24/7, buy anhydrous ammonia for the nitrogen oxide control and so forth. (Details of the pricing are proprietary, of course.) When I visited the plant in the fall, the plant manager said that the plant would probably not be profitable, except that it also sells RECs. RECs are Renewable Energy Certificates. A state with a Renewable Portfolio Standards (RPS) requires RECs. Programs vary from state to state, but basically, when a renewable energy provider places a kWh of power onto the grid, it also generates a REC for one kWh. In states with an RPS, the utilities must buy a prescribed portion of their power from renewable sources. How do the utilities prove they have purchased the right amount of renewables? They use RECs to prove their purchases to their regulators. However, the regulations have another twist. A power plant can sell RECs separately from selling the power. So a renewable-energy plant can sell power to the grid, and separately sell RECs to a utility that needs to present them to its regulators. This is what the Springfield plant does. As a matter of fact, there’s an interstate auction site for RECs. Vermont does not have an RPS, but it does have other incentives for renewables. The two major incentives are the “standard offer” program for small scale renewable producers, and the SPEED program for bigger producers. Both these programs require utilities to buy renewable power, but neither program requires RECs. 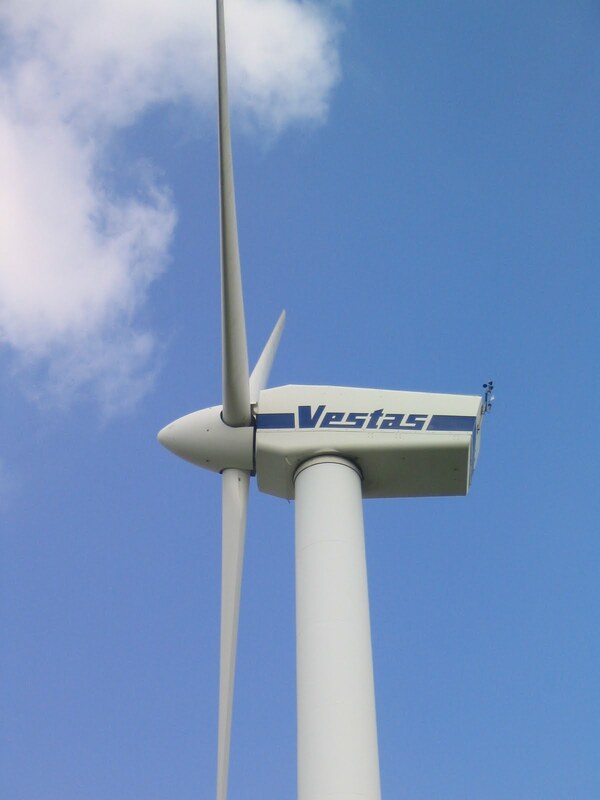 Vermont renewable suppliers can sell their RECs to out-of-state utilities. Therefore, Vermont renewable providers can add to their profits with out-of-state money. When the long-debated Vermont RPS bill had the portfolio standard stripped from it, it meant that Vermont utilities were still not required to buy RECs. The bill did not change the SPEED program for large generation sources. It did expand the standard offer program for small-scale sources. Instead of requiring Vermont utilities to buy up to 50 MW of small-scale renewables, they are now required to buy up to 127 MW. Hallquist implicitly acknowledged that renewables are more costly than conventional power. Vermont’s current programs increase consumer power costs, and a Renewable Portfolio Standard would add to that cost. Power runs 4 to 6 cents per kWh(wholesale) on the grid. The Vermont standard offer program requires utilities to pay 9 cents to 27 cents per kWh for renewables, according to the charts on the program website. Will People Pay for Renewables? Are people willing to pay more for renewables? The evidence is mixed. Higher electricity costs have negative effects on Vermont businesses. Meanwhile, many people say they are willing to pay more for renewable power, but few actually choose to pay more. Only 2 percent of CVPS customers - 3,300 customers out of 160,000 - have chosen to purchase more expensive, renewable “Cow Power”--power produced by methane from waste digesters on dairy farms. Cost is an important concern, and the Legislature deserves credit for addressing it. Meanwhile, the RPS laws of other states will help underwrite the costs of renewables in Vermont. 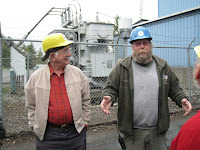 More about the Springfield Power Plant: Photo of Chuck Theall (plant manager) and Neil Daniels (local engineer) at the Springfield power plant. My visit was part of an ILEAD class that toured seven local power plants. Robert Hargraves and I led the class. My blog posts about the Springfield visit are here and here. Hargraves blog post about it is here. For more information on the course, see Energy Safari. Alan Panebaker articles about RPS energy bill, in Vermont Digger. Long before the lawsuits, Howard Shaffer and I would attend various committee meetings, rallies, and so forth. 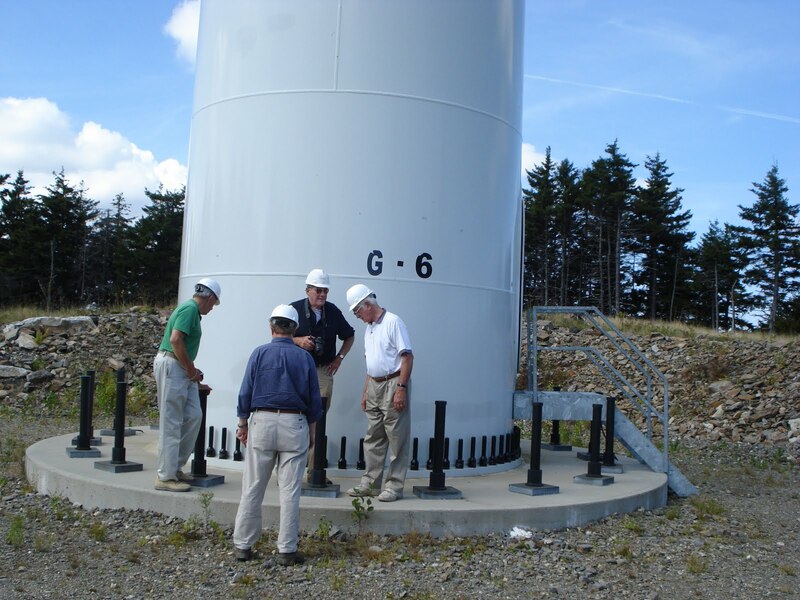 Opponents would always say: "We must shut down Vermont Yankee so we can build renewables!" Or similar words to the same effect. Howard and I would shake our heads in wonder. These statements were the merest rhetoric. In reality, the existence of any particular power plant does not prevent or encourage renewables. As a matter of fact, Vermont Yankee contributions to the Clean Energy Development Fund paid for much renewable development in Vermont. Still, VPIRG especially made a point of "We must close Vermont Yankee so we can build renewables!" Fast forward to the brief that the State of Vermont filed in appeals court on Monday of this week. They have borrowed the old VPIRG rhetoric as the main basis for Vermont's appeal. In other words, the state wants to shut down Vermont Yankee in order to build renewables. Direct link to the Vermont AG appeal of the pro-VY ruling. Appeal starts with statements that Vermont wants renewables, not fossil or nuclear, and it says so in the Vermont energy plans! So they can shut down any non-renewable plant they choose, maybe? That seems a very weak argument, but hey, I'm no lawyer. Don Kreis of Vermont Law School has an excellent blog post, mostly agreeing with my assessment. State to Court of Appeals: Act 160 Just a “Process Statute”. I wrote my note about Vermont's brief on FB ('seems a very weak argument") on Tuesday, June 5, and Kreis posted on Wednesday June 6. Great minds think alike! I am always pleased when a knowledgeable lawyer agrees with my assessment of a court action. Kreis's post is worth reading. 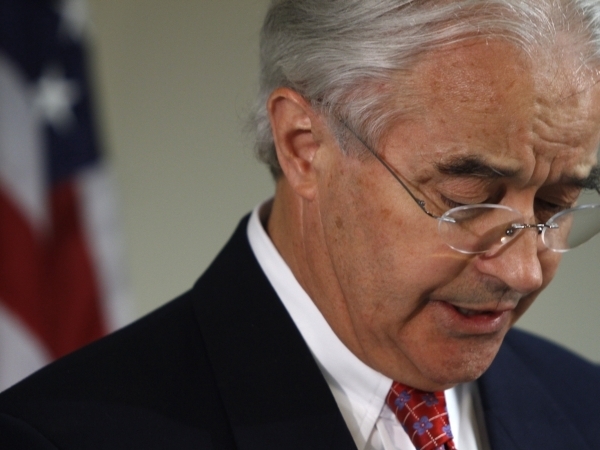 It covers a lot more ground than my comments do, including the fact that Attorney General Sorrell has hired a high-powered D.C. law firm to assist Vermont in its case. However, the Vermont argument gets back to the same thing: the legislature now says they were just trying to get some renewables going, not anything pre-empted. They were shutting the plant to build renewables! They weren't regulating radiological safety, heavens no! Kreis also says that further arguments may indeed reinforce the AGs view of Act 160. I do not want to put words in his mouth....Kreis and I agree only partially. I recommend his post for a fuller explanation of his views. Also, he starts with an amusing and sarcastic look at possible legal implications of the Seabrook purchase. Since the legislators were okay with buying nuclear power from Seabrook, and they talked (a lot) about tritium at Vermont Yankee...what were they regulating? This was no mere "sunset provision." In my opinion, the Vermont legislators were regulating radiological safety and such regulation is pre-empted by the federal government. By the Way: Please "like" the Save Vermont Yankee Facebook Page. Also: Act 160 was the act by which the legislature, not the Public Service Board, decided whether Vermont Yankee would get a Certificate of Public Good from the state of Vermont. The 107th Carnival of Nuclear Energy Bloggers is up at Idaho Samizdat. Brian Wang of Next Big Future blogs about the restart (within about two months) of some of Japan's nuclear reactors. The prime minister has said that it is necessary to restart some of the reactors. You are unlikely to read about this in the popular press. Eric McErlain of NEI Nuclear Notes discusses that bluefin tuna: "I once caught a fish story this big!" Meanwhile, Rod Adams shows that myths about nuclear accidents lead to real illness and disruption. Dan Yurman of Idaho Samizdat reports on up to $452 million (cost-shared) for small modular reactor development from the Department of Energy. Les Corrice of Hiroshima Syndrome covers events in Japan, with what could be called a "critical review" (very critical) of some official Japanese statements. Other bloggers cover the history of Knolls Research labs (Will Davis, Atomic Power Review), advances in nuclear medicine (Robert Hayes, Science and Technology), contentious NRC meetings (me at ANS Nuclear Cafe) and NRC granting license extensions to Pilgrim and Columbia stations (me at my own blog). Charles Barton at Nuclear Green discusses the Green party...opposed to nuclear, opposed to genetically modified grain, opposed to...well, luddites maybe? Brian Wang also discusses China, which is once again on track to install a lot of nuclear capacity. I was out of town for a few days at a high school reunion. I went to University of Chicago Laboratory High School (U-High, U-High, high and mighty. Looking for a basket, we'll find it. Win this game...). The reunion was terrific. Transformative, really. I find it hard to write about this reunion. Due to the reunion, I had to rethink "who I am" in at least one important way. My internal story about my life is that I started out as a nerd and I stayed a nerd. In this internal story, it's odd and unusual that I speak so often in public places. Because, after all: "I'm just a quiet type." However, when I met the people who knew me in high school, some of them were aware that I went to college and majored in chemistry. But many of them remembered me from high school, not as a nerd, but as one of the female leads in the senior class play. They remembered me from the drama club and the various plays. Until this reunion, I had forgotten my early love of drama, of being on-stage, of being part of a group effort, of speaking in public, and, yes, of receiving applause. My inner ham-bone! All of a sudden, the Energy Education Project, speaking and debating--it didn't seem like such a weird departure from anything I had ever done before. After the reunion, my involvement in the Energy Education Project had a feeling of wholeness to it, a feeling of being a true part of me. I am grateful to the reunion for giving me this insight. Happy reading, of both the Carnival and Irving's blog post! 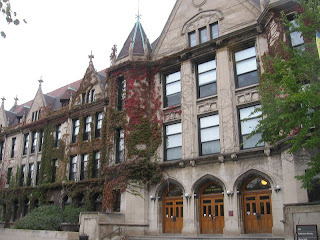 Blaine Hall at Lab School, from Wikipedia.